Provide comfort for the family of Ronald Wheeler with a meaningful gesture of sympathy. Ronald Lee Wheeler, age 81, passed away peacefully at home in Cedar City, Utah on April 1, 2019 surrounded by his surviving children. 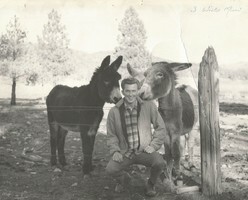 Ron was born on June 12, 1937 in Gallup, New Mexico to Francis and Minnie (Lamb) Wheeler. He was the youngest and last surviving sibling of 6 children. Ron married Karen Rose in 1959 and together they had 5 children. In 1975 he moved his family from Southern California to Cedar City, Utah. He was an incredible carpenter and brought many of his talents as a General Contractor to Utah. He was gifted with a beautiful singing voice, he was an avid rock collector and loved being in the outdoors which included hunting, camping, and fishing. He coached Little League Baseball and also taught his children to be leaders and the value of hard work. Ron was proceeded in death by his two sons Joey and Jeffry Wheeler. He is survived by his sons Jon (Toni); and Jeremy Wheeler; daughter Jill Peterson (Randy); and former wife Karen Rose Fullmer. He will be missed by 6 grandchildren and 6 great grandchildren, special niece and life long best friend Glenda (Ingraham) Grimshaw, and many other relatives and friends. Ron requested a small gathering of family and friends for a graveside service in celebration of his life which will be held at a later date. The family wishes to thank the hospital staff from Valley View Medical Center, and the exceptional care of the Hospice team at Intermountain Homecare and Hospice. To send flowers in memory of Ronald Lee Wheeler, please visit our Heartfelt Sympathies Store.